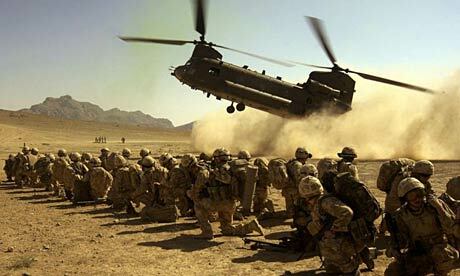 The Invasion of Iraq: The Trigger of the Middle East Domino-Effect? Attack on the Twin Towers. I remember when the twin towers of the World Trade Center collapsed. 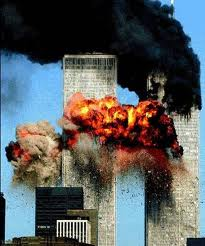 I had associates in the north tower who all got out safely, but there were the thousands who perished. I wanted our country to retaliate. I didn’t want this attack to go unanswered. I was proud of the courage of our police and fire-fighters, and how our nation stood up for eachother as one. When President G.W. Bush announced that “they could run, but they could not hide,” I was inspired and enthusiastic by the directness, strength, and unwavering conviction for extracting justice for this injustice. When our military forces started the bombing of Afghanistan, I was encouraged by the swiftness and power of the response. Then I found out a friend of mine was from Afghanistan. A few of us had gotten together to discuss this situation over coffee. My friend was saddened. He was afraid for his family and friends back in Afghanistan. He is a good friend, as is his wife who is Korean, and I know their two, beautiful children. It made me ashamed that I was happy about the damage and violence which was now being dealt to a country, which I had no ties to… until my friend gave me his ties to this homeland. The attack was quick and fierce and complete. The Taliban, the supporters of Osama Bin Laden and the al-Qaeda terrorists who had attacked the World Trade Center, The Pentagon, and the other airliner which crashed in that field in Pennsylvania; were driven out of Kabul, and forced into the mountains and neighboring country of Pakistan. It looked like a total victory. Yet here we are, almost 10 years later. Even though Osama Bin Laden is dead, and the majority of the planners of the attacks of 9-11 are dead or captured, the fighting still continues. This war is longer in duration than any other war the United States of America has ever been involved with. It all seemed necessary. They attacked us, we had to attack them. We couldn’t let the attacks continue unanswered. If someone kills your friends and family over their zealous political beliefs, and threatens to continue these attacks, you are duty-bound to stop them. President Bush announced deadline for the invasion of Iraq. Then, in 2003, President G.W. Bush announced plans for the invasion of Iraq if their leader, Saddam Hussein, did not step down from power. Saddam was a supporter and financier of terrorism, he was someone who murdered and terrorized, and tortured his own people. He had waged an 8-year war on Iran (with U.S. support). He had invaded Kuwait which led to the Persian Gulf War. He ruled by terror, genocide, and by suppressing his people. He had openly sponsored terrorism and the firing of missiles into Israel. Now they had evidence that he possessed weapons of mass destruction. Even the hero of the Persian Gulf War, Secretary of State, Colin Powell, convinced the United Nations and the world that Saddam had WMD and was a threat to the peace, lives, and stability of the region. However, even with all of this evidence I still wondered, do we really need to invade? Why? Can’t we just do air attacks like before? Why did we have to send in the ground troops? Was it actually because the threat that Saddam Hussein posed in the Middle East? Or was it personal because Saddam Hussein had attempted, but failed at the assasination of his nemesis, George Bush Sr.; that the son, President G.W. Bush was making sure Saddam was taken out instead? Or was it really about the oil fields? That we needed to have control over Iraq, to guarantee our access to and the availability of fossil fuels which our economy, our industry, and our military is so dependent on? Afterall, watching the History Channel, and reading history, it was obvious to me that one of the main reasons Adolf Hitler lost World War II was because he did not have access to the oil he needed to fuel his “blitzkrieg.” I saw myself believing that secretly the real motives behind the invasion of Iraq was our nation’s dependence on oil for our economy and for our national security. Now we were fighting a two-front war. In ways it seemed to me as necessary, and at the same time it seemed excessive. It seemed to be too much to take on. Was this really justice? When first his two sons were killed, and next when Saddam Hussein himself was captured and then executed, it seemed like we had gone out of our way to eliminate a dictator, and replaced him with new leadership less dangerous and more stable, but to what end? There was still instability in Iraq as infighting between the different religious sects continued, and insurgents flowed into Iraq from neighboring countries. I know President G.W. Bush kept announcing an evil dictator who terrorized his own people was overthrown, and brought to justice. What this the real reason we were there? The toppling of Saddam Hussein. 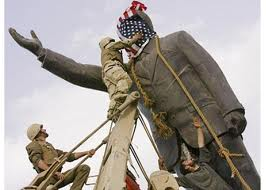 I saw the crowds of people in Bagdad who streamed into the streets, celebrating, dragging down the statues of Saddam Hussein. They acted like a people who had been liberated. Nevertheless, I still felt that this was just a cover-story, an excuse for the real hidden motives involving revenge, oil, and control. Did the downfall of Saddam Hussein now solve our problems or create bigger ones? 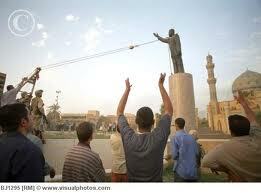 The overthrow of Saddam Hussein in Iraq. As the roadside bombs, and terrorist and insurgent attacks and bombing have continued the last 8 years, and hundreds of our soldiers, and thousands of civilians perished in this war on terror, it has more and more seemed like the invasion of Afghanistan and Iraq were all big mistakes. How could we now exit, without creating another Ethiopia where chaos and anarchy ruled the land? It seemed like we had made one of the biggest mistakes in our history by invading Afghanistan and Iraq. Of course, we had coalition forces from Great Britain and others as our allies, but it was really still the war manufactured by the United States of America. Now the question was how do we create stability in two countries we had invaded and conquered, and now we were responsible for the stability of? It looked like the “liberated” people themselves could not co-exist and get along. Maybe they actually needed to be ruled by an iron-fist like they had been for the past several decades to co-exist. If this was in fact the wrong decisions to have made in 2001 and 2003 it was useless arguing about this anyway. What was done was done. In Southeast Asia in the 1960’s, Presidents Truman, Eisenhauer, Kennedy, and Johnson were all driven by a fear that South Korea, and South Vietnam were to fall to the Communists, it would result in a “domino-effect” in which country after country would successfully fall to the Communists. This fear is what fueled the “Cold War.” However, after the fall of South Vietnam, the domino-theory never happened. So what are we witnessing in the Middle East? Protests in Cairo. Then revolution. 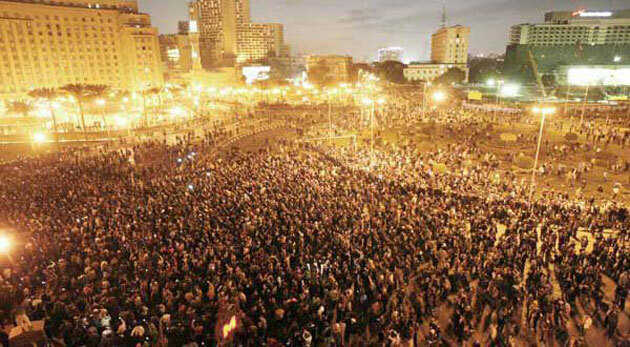 Next social unrest and protests erupts in Egypt. The thirty year reign of Mubarek is ended as people rebel, and take arms against the supressive government, and overthrew the dictatorship in a matter of months. A tyrant is forced from his office. Revolution is real, swift, and successful. A domino falls. The scenes we saw in Iraq, with the crowds celebrating in the streets, and statues being toppled were being repeated in the streets of Cairo. 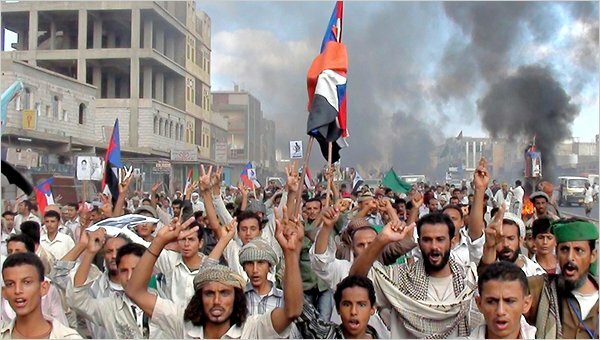 Then we see the same unrest spark-up in Yemen. Then we see the same unrest spark-up in Syria. Then we see the same revolutionary spirit ignited in Libya, and again a tyrant who has ruled his people with an iron fist is overthrown. Again crowds are cheering in the streets, and statues are toppled. Another domino falls. What inspired all this? Seemingly out of nowhere the pent up anger, and frustration, and self-expression were being released at points through-out the Middle East. This now appears to be a “Middle East Domino-Effect.” What is the cause of this? What was the intial trigger? 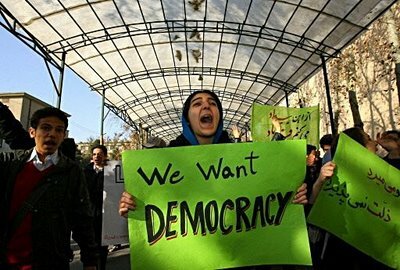 Of course the cause of these revolutions is the courage and will of the people to stand up against tyrants, to stand up against injustice, to confront suppression and control, and to use social-networking, mass media, and communication technology to unite eachother in rebellion to defeat the oppressors is driving this revolution. Yet, what was the spark that ignited this? What happened that has never happened in all of the decades that these dictatorships have ruled? The only thing that stood out for me, and it surprised me to think this, was the one thing that was different. It was that the United States of America and our allies, invaded two countries, Afghanistan and Iraq, overthrew the dictators who used terror and violence to suppress their people, and started them on the road to self-rule and Democracy. Yet is what we are witnessing happening throughout the Middle East, domino-effect, of dictatorships falling, one after the other, after the other? Did the the act of terrorism of Osama Bin Laden attacking the United States, which triggered the invasion and downfall of Afghanistan and then Iraq, in turn, inspire the people of the Middle East to voice their beliefs and feelings, and cause the downfall (so far) of the dictators of Egypt and Libya? This is my question. 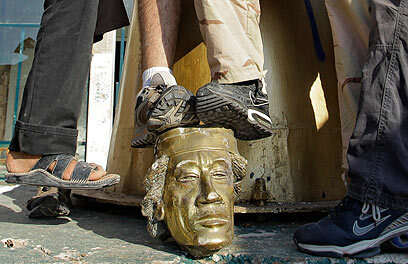 The overthrow of Gaddafi in Libya. The images of the people celebrating in the streets as a tyrant fell from power were broad-casted around the world. On cellphones, on text-messaging, on streaming videos, on social-network web-sites, on laptops, and desk computers around the world, the news and these live images were all instantly shared globally. Was the retaliation for 9-11, the knocking down of the first domino, that led to the tumbling over each domino after another, as these harsh dictatorships fall one after the other, after the other? This is my question. We live is an era where information is exchanged instantaneously. It is unstoppable. It is not containable. What has started in the Middle East this past year will not stop. It will continue to unfold. The taste of freedom from tyranny and terror is not one which people will forget or lose the hunger for. Is THIS the end of the world that the Mayan’s calendar predicted? The the old world order of dictatorships coming to an end? Is there a new world waiting to arise as each dictatorship is gone from the planet. Are we now moving into an era of democracy, peace, cooperation, harmony, and prosperity? Time will tell. In the meanwhile, as horrible as the fighting for the past 10 years has been, if this all leads to a Middle East with nations of freedom, democracy, and elections, and self-government; then it will be the first chapter, of a new world of possibility and growth and harmony. THAT would be true justice, in my opinion, and THAT would bring some sense of closure to the horror of the past decade of violence and bloodshed. 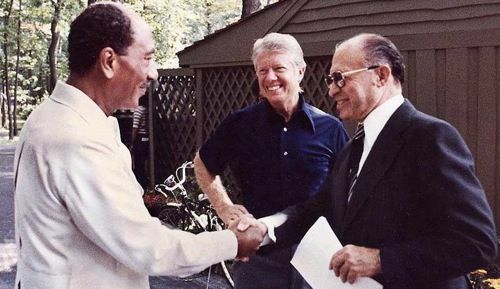 Sadat and Begin at Camp David. 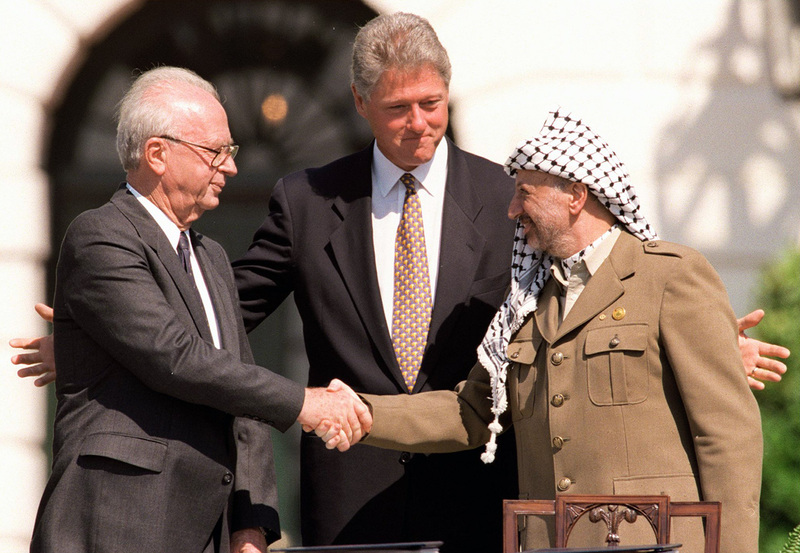 Rabin and Arafat at the White House. Sticking my neck out with a controversial blog topic. That was a thoughtful and comprehensive overview of political and military events that have transpired since 9-11. And then you ask some terrific questions about where this will all go. I think it would behove us to look back before we look ahead. The history and scope of human interaction is one of discord and war. With each passing century, the number of people killed in wars sky rockets. I believe the sinful nature of mankind coupled with technological advancements will prove the 21st century to be no exception to the rule. While we work for peace and we do what we can to make this world a better place, evil will never rest and we will have to fight for our survival and the survival of our families, neighbors, and innocent peoples wherever they might be. In the end, there is only one that will bring everlasting peace. He is the same One who willingly gave His life for us…and the same One who forgives His enemies and promises new life for all who will trust in Him. Outside of the death and resurrection of Christ Jesus, I know of no hope for mankind. God bless you, my friend. I did know a Daryl Tsutsui who was a Judo expert, and lived in Orange County, CA during the 70’s. I am not a direct relation, but I know he participated with the Orange County Buddhist Church. You might try to reach him through that church. In 2016, the major instability in the Middle East points back to outside influence of the United States, Great Britain, and other Allied powers stemming back to World War One. The more I learn studying world history, the more I see we are forever globally interconnected.